To regain biodiversity of the lost forests. Following the war, Japanese forests were cut down excessively, due to fuel and building material demand. After logging, large-scale afforestation centered on cedar and Japanese cypress was carried out based on the afforestation policy. 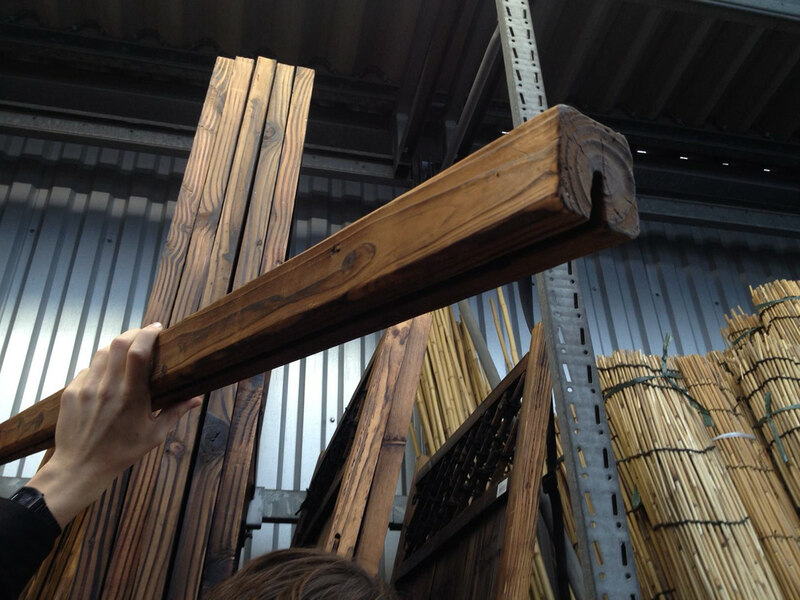 However, the liberalization of wood imports began in 1964, and demand shifted to inexpensive foreign-made materials. Currently, some of the artificial forests that account for about 40% of the Japanese forests are left untreated despite the fact that they are in the thinning period. Some are devastated, resulting in the loss of forest biodiversity. It is also said that it is becoming a hotbed for hay fever causing many Japanese people to suffer. 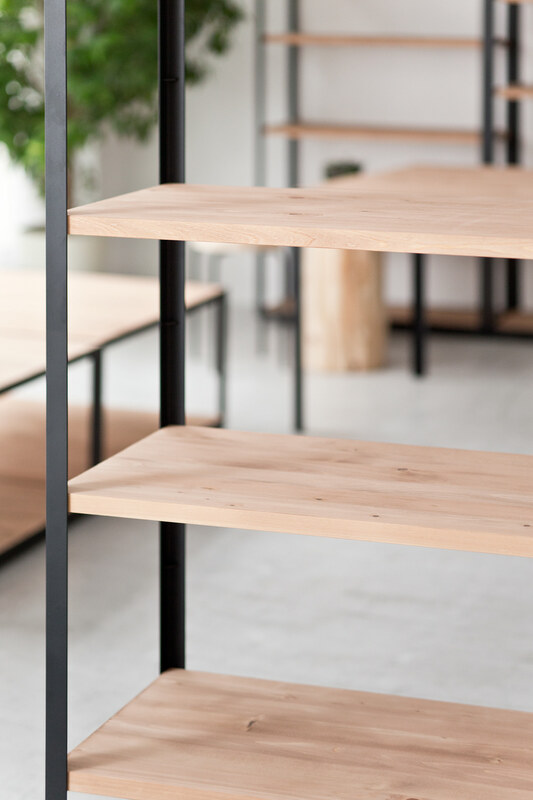 A sustainable furniture brand using wood from forest thinning, as it is. In order to regain a rich ecosystem in the forest of Japan, it is necessary to prepare a state where domestic timber can be used on a daily basis. 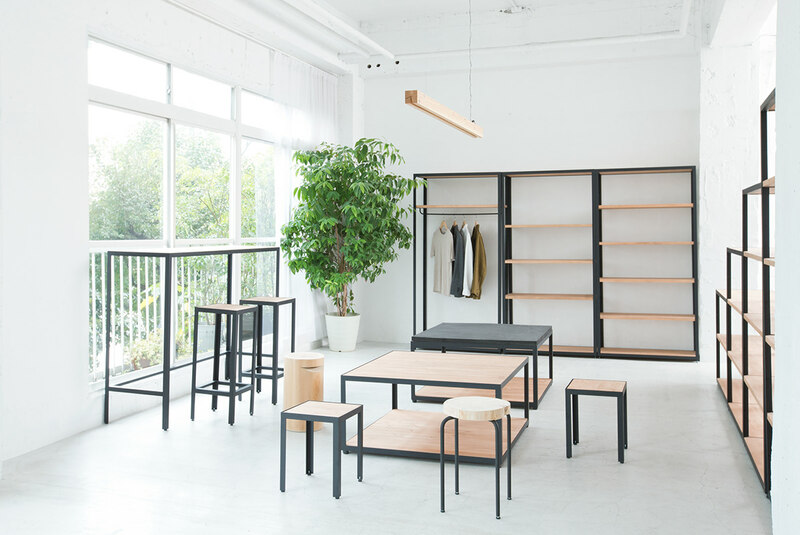 Therefore we decided to launch a furniture brand that uses thinned timber as it is, together with Bunshodo Co., Ltd., who designs and constructs offices, shops, and sells furniture. 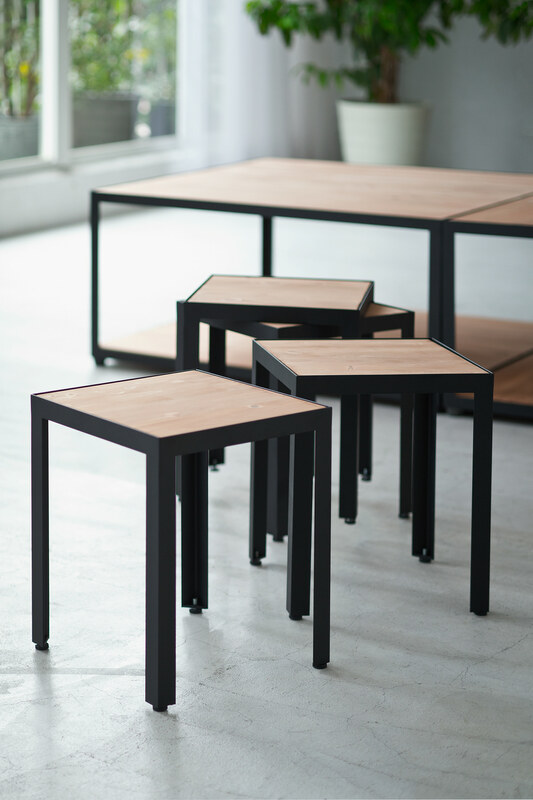 "KINOWA" , under conditions that domestic timber is used, has created a mechanism to lower the hurdle of using timber by publicly releasing production drawings of each product as an open source, able to use sustainable furniture manufacturers other than professional contractors. 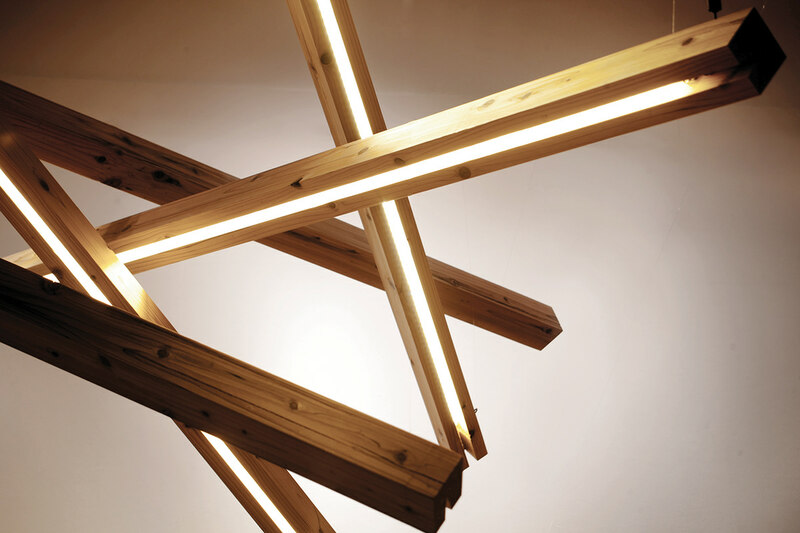 BEAM is a lighting fixture that embeds LED light with a slit imitated as a back split using standard square material of thinned timber. This product was awarded the Gold Award at the DFA Awards (Asian Design Award). By using logs of thinned timber, square materials, board materials as much as possible, and reducing complicated processing, it is possible to incorporate Japanese trees at ease into the living space at reasonable prices. Looking into the future of forestry, spreading with open source. 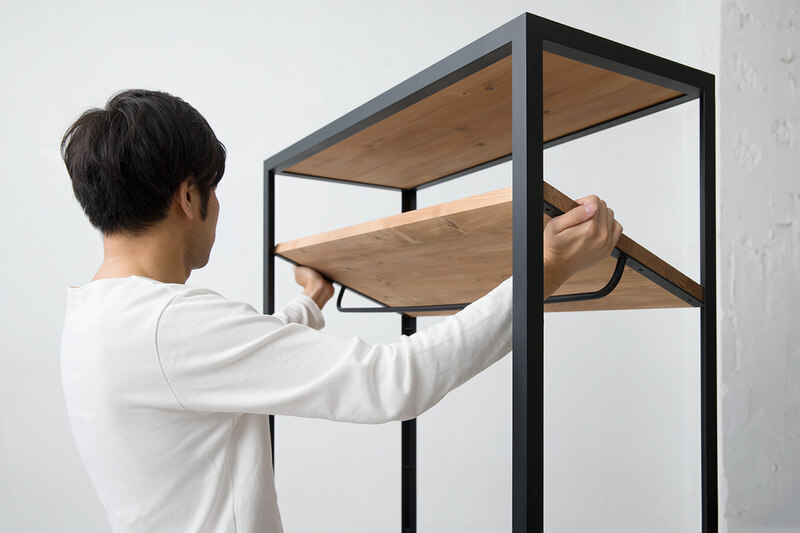 KINOWA has been using thinned timber from Okayama prefecture Nishawakura village since the beginning, where now efforts using thinned wood from other areas are also being created based on open source drawings. 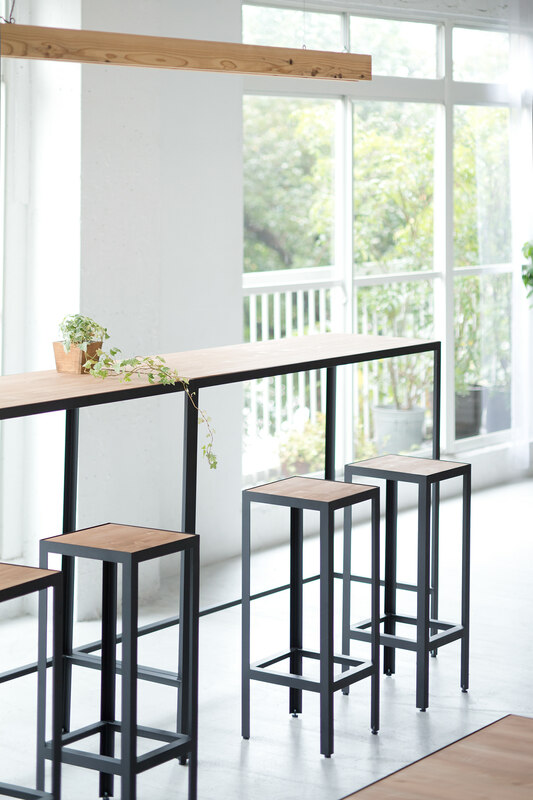 In addition, KINOWA's activities have gradually expanded, such as furniture delivery to companies and organizations' offices that sympathize with the brand's philosophy. However, while Japanese wood self-sufficiency rate is on its' way to recovery, most are still dependent on imported materials. We are now looking for peers who want to participate in this initiative. Please download the production drawing from the link below of each product in KINOWA, and participate in the activities.